Spring is in the air here in Amherst. The Neurosciences continue to grow. We are very pleased to welcome Amanda Woerman to the Biology Department. Amanda is the 7th woman neuroscientist hired in the last 2 years. The growth in the neurosciences is not over as we are waiting to hear about the results of other faculty searches. We also have an excellent new crop of PhD and fast-track MS students joining the Neuroscience and Behavior Program this fall. April is an exciting time for seminars. IONs is pleased to host two Neurosciences Distinguished Lectures: Marlene Behrmann on April 10 and Jeff Lichtman on April 24th. In addition, NSB is hosting Frank Grasso for the Annual Kay Fite Lecture on April 3rd. For the first time, the Initiative on Neurosciences will be participating in the #UMassGives campaign. Please donate just a little to show your support. This entry was posted in Director Channel, News on March 31, 2019 by ions. As we move into March, we feel the hope and optimism of spring and growth. Offers of admission are about to be sent to prospective graduate students and new faculty members. 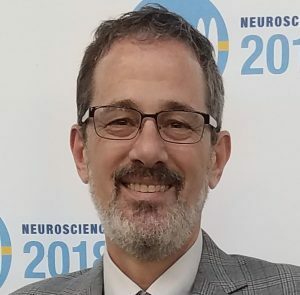 We can feel the neurosciences growing and expanding with new people, new findings, and new connections. The Neuroscience and Behavior graduate program had a very exciting recruitment open house. We are hopeful of seeing an exciting new crop of PhD students in the fall. In addition the Molecular and Cellular Biology graduate program is in the process of its recruitment event. We are concluding two faculty searches for new Neurosciences faculty members, one in the Biology Department and one in the Psychological and Brain Sciences Department. The Organismic and Evolutionary Biology program is concluding it search for the next Darwin Fellow. Stay tuned for these exciting developments. March is Brain Awareness Month and neuroscience students, postdocs and faculty will be participating in outreach events in Holyoke among other places. Finally, we have wonderful line up of speakers this month including Neurosciences Distinguished Lectures, Charles Lieber and Thalia Konkle as well as NSB students. Please consider supporting IONs with a small donation to help us grow and show your support for the Neurosciences at UMass. This entry was posted in Director Channel, News on March 1, 2019 by ions. IONs Director’s Channel – Memory is about the future, not the past. This entry was posted in Director Channel on November 8, 2018 by ions.